Creating smaller components is a key factor in the race to develop compact smartphones and other handheld devices. There is an increasing demand for lighter and thinner microelectronic devices. However, manufacturers often have a limitation in the form of the oddly shaped energy sources, which pose challenges when trying to conform to the smaller space. An innovative method developed by the University of Missouri researchers has enabled an energy source to be transferred to virtually any shape. It is an efficient laser-writing method that allows smartphone manufacturers to create energy storage units, such as micro fuel cells and microbatteries, which are thinner, highly designable, and more eco-friendly. The direct laser writing (DLW) method and technique has seen a rapid advancement in the past decade. The main goal of our research was to find an efficient and cost-effective way to integrate nanostructures with micro energy storage units for applications in microelectronics. Our lab decided to test whether catalysts could be synthesized and patterned on any surface by a one-step laser processing method to produce microbatteries and micro fuel cells in the shapes dictated by computer programs. Lin and his team, which includes Heng (Henry) Deng, a doctoral candidate at MU, tested their theory by adapting the DLW technique to synthesize and pattern hybrid nanocatalysts, or fuel sources, into complicated geometric shapes. The researchers produced an electrically conducive surface with catalytic functionalities, using the computer-controlled laser writing method that involved higher heat and pressure. This is the first step in manufacturing micro fuel cells that convert chemical energy into electrical energy and batteries that can integrate into microcircuits. 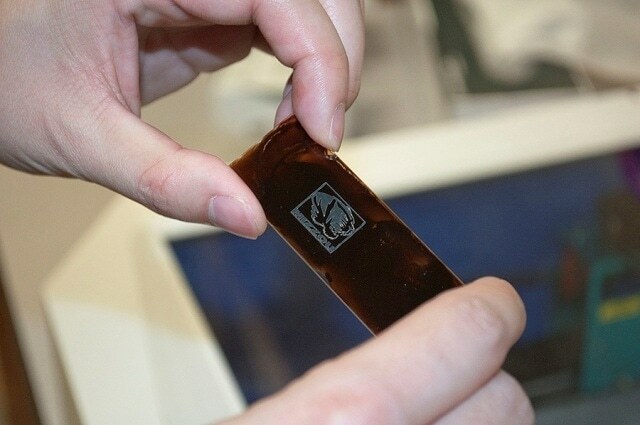 Also this technique has been proven to produce microsupercapacitors. By honing the process, handheld device and smartphone manufacturers will be able to produce components in whatever shape or size they choose, greatly impacting the size of these devices. Also, manufacturers will be able to choose more environmentally friendly catalysts for generating energy such as hydrogen or oxygen, which are considered cleaner fuels. The possibilities will be endless. The researches have described their work in a paper entitled, “Laser induced MoS2/carbon hybrids for hydrogen evolution reaction catalysts,” in a special issue of “Emerging Investigators 2016: Novel Design Strategies for New Functional Materials” in the Journal of Materials Chemistry-A.